Victor Vollmer isn’t a paperboy anymore. 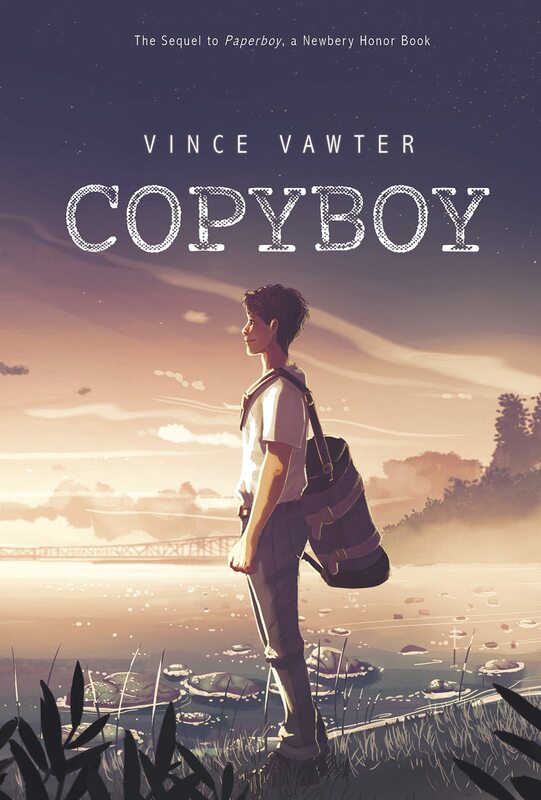 He’s a copyboy now – and a good one. But his duties at the newspaper are interrupted by a last request from Mr. Spiro, the scholarly gentleman who became his mentor in the beloved novel Paperboy, a 2014 Newbery Honor Book. Victor takes off on a journey that sends him hundreds of miles from home and toward the teeth of a gathering storm. Confronted by an unfamiliar and threatening world, he meets a girl who is strong and smart and bold like no one’s known before, and together they venture toward the place where the river meets sea. When they wind up racing to evade a hurricane, Victor finds out what the fates have in store for him.